This is a black and white photograph of H. and I. Holmes' property located somewhere between Sharon and Royalton off of I-89. 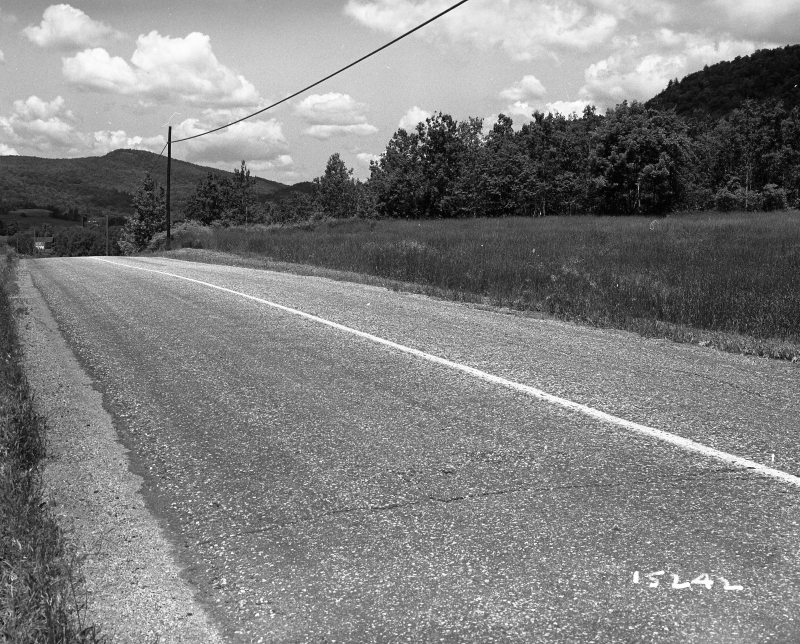 A paved road runs down from the front right corner of the image toward the back left corner of the photograph. Utility lines run parallel to the paved road on the right side of the image. Mountains are pictured in the background of the image. Leafy deciduous trees are pictured on the right side of the road and in the background of the image. This photograph captures a view looking northwesterly.